NDTV-HINDU - Chennai Speaks Out - "IS THE BATTLE AGAINST CORRUPTION A KNEE JERK REACTION OR A SUSTAINED CAMPAIGN?" A Senior Citizen (former Air Force Officer) and his son were assaulted by government employees and their goons because they stood up against their corrupt practices. 'Choosna Bandh', initiated by Bharat Jagran Trust and supported by Jaago Re, 5th Pillar, AwakInd, ex-Military Personnel, youth of India and many others like you, has initiated a virtual movement for starts. Many people wouldn’t guess it, but corruption is a big challenge for India. The problem isn’t new, but it has recently come under intense international focus. The fuss was sparked by this year’s Commonwealth Games, which are held between former British colonies, and were hosted in Dehli. Ironically, officials had hoped the games would showcase India’s increasing economic and political clout, but instead they were marred by deplorable living conditions for athletes and massive delays in building construction. It was soon revealed the blame for these circumstances could be traced to corruption. The chief of the Indian Olympic Association, Suresh Kalmadi, who was in charge of the Games, allegedly presided over numerous corrupt deals, and several under him also contributed to the systematic graft, which resulted in the stadium delays and the use of substandard construction materials. Following the commotion with the infamous Games, India enjoyed no respite, but rather found itself roiled in wave after wave of new corruption allegations. One of the key moments came when Chief Minister of Maharashtra, Ashok Chavan, resigned in the wake of serious allegations of malpractices concerning an apartment tower in the heart of the city. Then, last week, an Indian comptroller and auditor general released a report that accused Andimuthu Raja, India’s former Telecommunication Minister, lost $34 billion in tax revenue by failing to follow proper procedure in the award of licenses to run mobile phone networks. But now, in an added twist of irony, India’s Supreme Court is questioning the legitimacy of P.J. Thomas, the head of Central Vigilance Commission (CVC), the country’s anti-corruption agency. A three-member committee, which includes Prime Minister Manmohan Singh, appointed Thomas to the position in early September, despite loud protests from the opposition Baharaitya Janta Party (BJP), which claimed he could not be impartial. As it would turn out, the Supreme Court agrees. 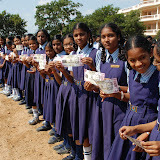 As in response, Glboal Financial Integrity released a study last week titled The Drivers and Dynamics of Illicit Financial Flows from India: 1948-2008 that estimates the total amount of illicit financial flows (IFFs) from India, which includes a measure of money lost overseas to the proceeds of corruption. The study reckons India lost $16 billion per year between 2002 and 2006 in IFFs and that between 1948 and 2008, India lost a total of $213 billion. Corruption poses a large array of obstacles to economic development; including, the deterioration of the rule of law; obstructions to business, which dissuades foreign and domestic investment; and, in the case of IFFs, corruption can bleed a developing country of much needed capital. Unaccompanied, these threats are serious enough to support the argument that corruption is a major inhibitor of economic development and a driver of income inequality. But these conditions are not alone. Corruption also poses a threat to developing countries as it creates an aura of unreliability, which can make potential investors and other countries nervous. In other words it creates an impression of “taint.” For example, this week Canada entered talks with India over free trade, but the negotiations were endangered as they coincided with the international revelations of India’s plethora of corruption cases. Though India sought to reassure its North American counterpart, journalists and Canadian officials alike questioned whether India could be trusted with investor’s money. It is for this reason that the commotion surrounding the Indian hosted Commonwealth Games and the deplorable athletes’ living conditions were not only symbolic disasters. Appearance is important, particularly when it comes to economics and investment. India can’t afford the act of corruption, but it also can’t afford the appearance of corruption. There are many developing countries that investors may choose from with low labor costs, an emerging educated class of people, and government officials serious about routing out graft. India can’t afford not to be one of them.